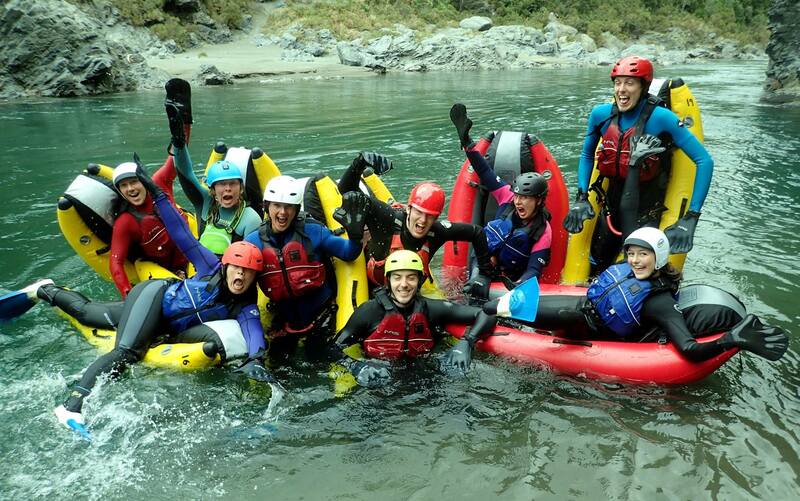 RiverBugs are an exciting new water craft designed in Christchurch especially for use on New Zealand’s rivers. 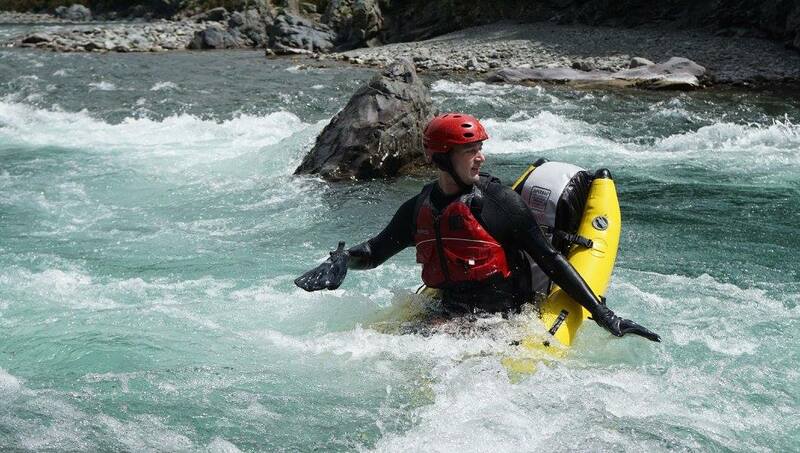 They are a unique way to access to our amazing scenery and provide excitement in the rapids. 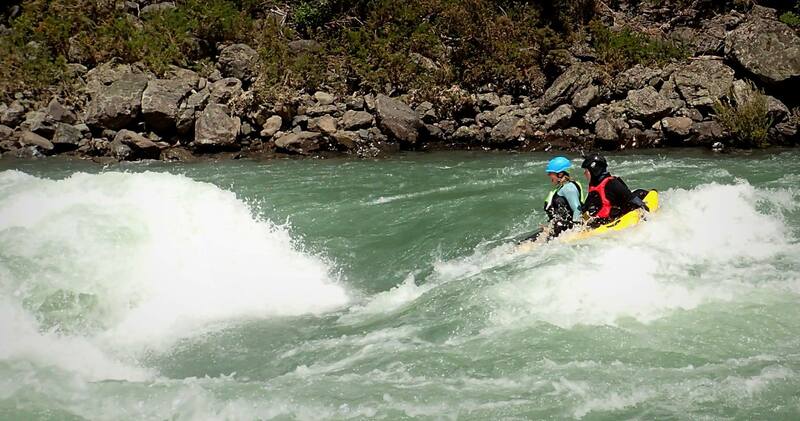 RiverBugs share many of the characteristics of whitewater kayaks including their ability to do tricks and rolls. 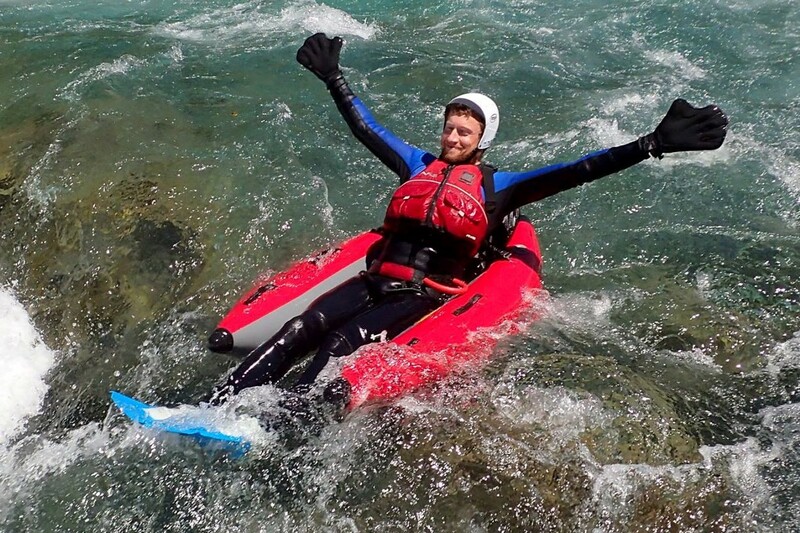 Unlike kayaks they are extremely beginner friendly thanks to their excellent stability and buoyancy. The bug consists of a seat and backrest between two pontoons. Facing downstream, the Bugger uses short fins to provide propulsion, steering with the specially designed paddle gloves. Bugs are like little bumper boats, every part provides buoyancy and rocks can be pushed off with the feet or hands. With skill and practice it is possible to tackle larger rapids, ride standing waves, perform pirouettes, rolls, flips and other tricks.